Scarring occurs due to the activation, change in shape, and stiffness of cells, called astrocytes, which are the major nerve support cells in the spinal cord. 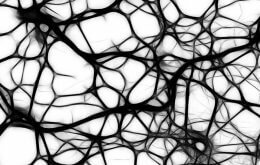 One possible way to repair nerve damage is transplantation of support cells from peripheral nerves, called Schwann cells. The team, however, found that these cells secrete heparan sulfate sugars, which promote scarring reactions and could reduce the effectiveness of nerve repair. Professor Jerry Turnbull, from the University of Liverpool’s Institute of Integrative Biology, said: “Spinal injury is a devastating condition and can result in paralysis for life. The sugars we are investigating are produced by nearly every cell in the body, and are similar to the blood thinning drug heparin. “We found that some sugar types promote scarring reaction, but remarkably other types, which can be chemically produced in the laboratory by modifying heparin, can prevent this in our cell models.